Emma Watson is wearing a two-sided Dior outfit. 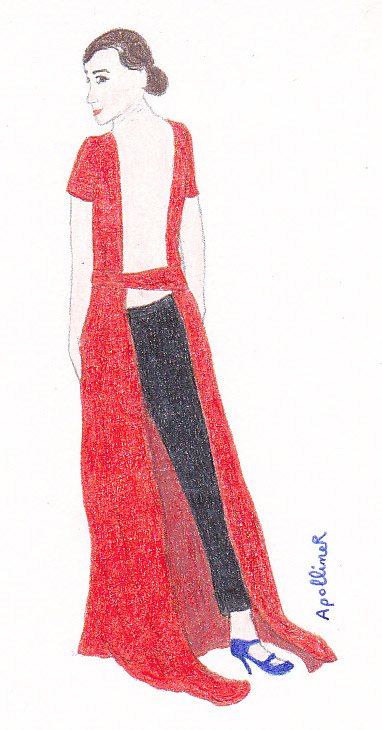 The front is a red long gown. The back is an open dress and the young woman is wearing figure-hugging black pants. It could have been awful but in fact the result is a success. Even Emma Watson’s midnight blue stilettos match the rest of her outfit. 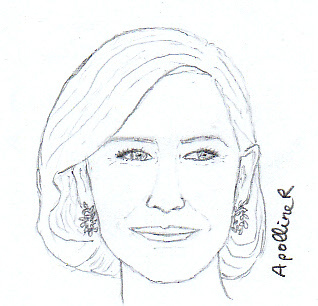 Cate blanchett is wearing Chopard earrings, each one looking like a rolled-up branch whose leaves are diamonds. This jewel is fairmined certified. Lupita Nyong’O is wearing my favorite outfit. 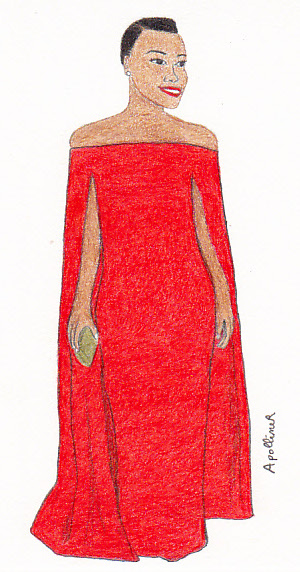 The beginner actress is wearing a Ralph Lauren red off-the-shoulder gown with an attached cape. Finally here is a link to the video showing Emma Thompson throwing her Louboutin stilettos. I admit that I did not pay attention to the reste of her outfit but I had a laugh like I had had a laugh reading her speech at the National Board of Review gala the week before.